Easily and quickly recover deleted files from iOS devices and iTunes/iCloud. Do Your Data Recovery for iPhone 4.5 was available as a giveaway on April 8, 2017! 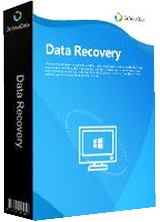 Do Your Data Recovery for iPhone is an iOS data recovery tool that can help you easily and quickly recover deleted or lost photos, contacts, SMS, notes, call logs, videos, calendars, bookmarks or other iOS data from iPad, iPhone, iPod touch or iTunes/iCloud backup. How would you improve Do Your Data Recovery for iPhone 4.5? 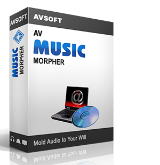 Free Uninstaller to easily uninstall programs, Windows apps, plug-ins from PC and completely clean up all leftovers. The website states 'It can easily recover deleted/lost contacts, messages/SMS/iMessages, photos/pictures, videos, voice memos, message attachments, notes, notes attachments, Whatsapp messages, call log, bookmarks, reminders, calendars, etc. It does not mention application data. It says that there are three options for recovery. Recover from the ios device, from the iTunes backup or from the iCloud backup. However when I tried to recover from a working iPhone to test it I get the message 'To recover your data more effectively, please enter iTunes backup password.' The options are ok (when the password is entered) or cancel. If I cancel then it does nothing. So it appears that it cannot retrieve iPhone data without iTunes. If this is not for recovering application data I don't see why I would have to connect with iTunes to retrieve data such as contacts and photos that I want to retrieve directly from the Iphone. So it seems that it has two recovery options, not three. The website states 'It can easily recover deleted/lost contacts, messages/SMS/iMessages, photos/pictures, videos, voice memos, message attachments, notes, notes attachments, Whatsapp messages, call log, bookmarks, reminders, calendars, etc. It does not mention application data. It says that there are three options for recovery. Recover from the ios device, from the iTunes backup or from the iCloud backup. However when I tried to recover from a working iPhone to test it I get the message 'To recover your data more effectively, please enter iTunes backup password.' The options are ok (when the password is entered) or cancel. If I cancel then it does nothing. So it appears that it cannot retrieve iPhone data without iTunes. If this is not for recovering application data I don't see why I would have to connect with iTunes to retrieve data such as contacts and photos that I want to retrieve directly from the Iphone. So it seems that it has two recovery options, not three. Don't know why anyone would want an Apple anything ... unless it was a pie. The standard of the giveaways of late has been rather dull. how about GOTD offer something a bit more unusual instead of the usual run of PFD, recovery, registry fix and other such uninteresting software. DaveC, If your using an Android device, then your missing the point of using an iPhone or iPad. then Android, and commands were similar-- the iProudct prove to be MUCH better. I will say that I will NEVER own a apple laptop or Mac-in-dog! DaveC, If your using an Android device, then your missing the point of using an iPhone or iPad. I've ALWAYS steered away from Apple, but if you load the same 'app', there are far less touches to do the same job. I hated switching to iPhone, but when I saw how the battery lasted longer then Android, and commands were similar-- the iProudct prove to be MUCH better. -- I will say that I will NEVER own a apple laptop or Mac-in-dog! When I tried to download, I got the message "cannot be downloaded by Safari" ???????? Just like the one from the other day (iCareFone) it wants my backup password (and does nothing without it) and while I can't see any reason not to hand it over I'd rather it just went to the phone and got the data there. nomadss1, I got so busy yesterday that I forgot to install DriverMax Pro, too bad too because from everything I've read it's a nice piece of software, but I did get a key, not sure why you didn't get one. John, not really since this program is hosted i.e. runs on a windows based machine, it is not just an iphone app! It's of no use to me as I don't own or currently operate any apple devices. John, see the System Requirements: Windows XP/ Vista/ 7/ 8/ 8.1/ 10. This software runs on a Windows machine, not on an iPhone. The iPhone is coupled as a slave to the Windows computer. Apple haters should be glad to read that! btw my iPhone and iPad are so reliable and I store serious documents in the cloud. So I do not need this software. John, see the System Requirements: Windows XP/ Vista/ 7/ 8/ 8.1/ 10. This software runs on a Windows machine, not on an iPhone. The iPhone is coupled as a slave to the Windows computer. Apple haters should be glad to read that! btw my iPhone and iPad are so reliable and I store serious documents in the cloud. So I do not need this software. John, i'm a windows user and i have an iphone. i'm always thrilled when there is an iphone giveaway. we can't always be satisfied every single day. i'm glad it is listed here because this is the one i get in my email. John, this ISN'T an iOS programme. It IS a windows programme. I've downloaded this as a Windows user, so your statement is incorrect. John, this ISN'T an iOS programme. It IS a windows programme. I've downloaded this as a Windows user, so your statement is incorrect. No, this is a Windows giveaway. It works under Windows operating system. There were some giveaways here- for cteating music. I really don't care abouth them, because personality I dont create music, but I don't cry that this is a "musical" giveaway, and not Windows such. No, this is a Windows giveaway. It works under Windows operating system. There were some giveaways here- for cteating music. I really don't care abouth them, because personality I dont create music, but I don't cry that this is a "musical" giveaway, and not Windows such. John, Today's offer is in fact for Windows and/or Mac. However, it's for iOS data from iPad, iPhone, iPod touch or iTunes/iCloud backup. I don't get, why so many uses iPhone, while iPads arte rather convinient now and then. I choose Huawe, and that's the best phone, I ever had. Well, it is a Mate 9 Porche design, but I had Huawei ascend 6 and 7 before, I gave my self this wonder, which no iPhone can match at all. John, Today's offer is in fact for Windows and/or Mac. However, it's for iOS data from iPad, iPhone, iPod touch or iTunes/iCloud backup. I don't get, why so many uses iPhone, while iPads arte rather convinient now and then. I choose Huawe, and that's the best phone, I ever had. Well, it is a Mate 9 Porche design, but I had Huawei ascend 6 and 7 before, I gave my self this wonder, which no iPhone can match at all. How many people have an iphone? It is estimated that about 808 million iPhones will be in use by the end of 2017. . Some of these tools for iPhones are useful, and Apple changes things so updates are useful too. Better an iPhone giveaway than a feeble Windows programs such as a registry cleaner or driver updater. jan, It is estimated that about 808 million iPhones will be in use by the end of 2017. <a href="https://www.thestreet.com/story/14028881/1/here-s-how-many-apple-iphones-are-in-use-today-tech-roundup.html" title="Here's How Many Apple iPhones Are in Use Today">. Some of these tools for iPhones are useful, and Apple changes things so updates are useful too. Better an iPhone giveaway than a feeble Windows programs such as a registry cleaner or driver updater. over priced toys, especially since, despite Apples claim that they are the best, they are not. Yesterday's driver updater "DriverMax Pro" is a pretty good piece of software. Nobody is going to like, or have a need for, every giveaway, but every so often they do offer very good software from very reliable developers. I don't care for Apple's business practices or their overpriced mobile devices; I much prefer Android phones, Samsung in particular. And so my comment to GOTD is this; it sure would be nice if there were an Android Phone App giveaway, once in a while, instead of it always being iPhone Apps, but computer software giveaways are something everyone can use instead of a certain percentage of the GOTD audience. OldGuy, How so OldGuy? I'm an old guy too and I can never figure out why people are so in love with Apples over priced toys, especially since, despite Apples claim that they are the best, they are not. Yesterday's driver updater "DriverMax Pro" is a pretty good piece of software. Nobody is going to like, or have a need for, every giveaway, but every so often they do offer very good software from very reliable developers. I don't care for Apple's business practices or their overpriced mobile devices; I much prefer Android phones, Samsung in particular. And so my comment to GOTD is this; it sure would be nice if there were an Android Phone App giveaway, once in a while, instead of it always being iPhone Apps, but computer software giveaways are something everyone can use instead of a certain percentage of the GOTD audience. JonE, They do have Android giveaways. And the computer software giveaways are only useful to those who have MS Windows (or occasionally both Mac and windows). bing, also that are broken or no longer used? These things are good for two years, then the batterie is worn! bing, also that are broken or no longer used? These things are good for two years, then the batterie is worn! hunter, Yes, Android and iApps every day, however, I can't remember seeing an Android App offered as the main software offering before; if there has been it's rare and I missed it. In addition, I failed to read the "System Requirements" yesterday; if I had I would have realized this software is also compatible with all Windows OS. My mistake. hunter, Yes, Android and iApps every day, however, I can't remember seeing an Android App offered as the main software offering before; if there has been it's rare and I missed it. In addition, I failed to read the "System Requirements" yesterday; if I had I would have realized this software is also compatible with all Windows OS. My mistake. DocSid, Android giveaways; read my comment to "hunter". I cannot imagine what goes into getting software to giveaway every day; do the vendors come to them or do they initiate contact with the vendor? I'm sure it works both ways, but I'm also sure there isn't a long line of developers, knocking down the door, eager to give their software away. There have been plenty of "software giveaway" offering that I've found very useful but cannot use them because my system is not comptatible. Bottom line is GOTD cannot ever make everyone happy every day. DocSid, Android giveaways; read my comment to "hunter". I cannot imagine what goes into getting software to giveaway every day; do the vendors come to them or do they initiate contact with the vendor? I'm sure it works both ways, but I'm also sure there isn't a long line of developers, knocking down the door, eager to give their software away. There have been plenty of "software giveaway" offering that I've found very useful but cannot use them because my system is not comptatible. Bottom line is GOTD cannot ever make everyone happy every day. Adrian, Huh? Buy a new battery! Much cheaper than buying a new phone.